FREE CONFERENCE CALL: How To Save $1,000 NOW! I am so FIRED UP to have the opportunity to host a FREE conference call to help people discover ways that they can reduce their expenses and free up money! If you are looking for ways to reduce your expenses – DON’T MISS THIS CALL! We only have a limited number of space available – and we have already had over 100 people register! Can’t see the registration form? Click HERE to register! 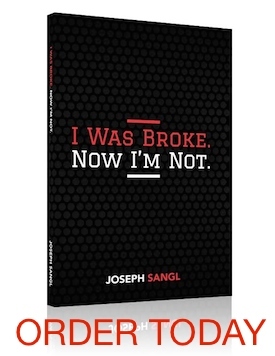 or visit http://www.josephsangl.com/2010/10/13/free-conference-call-how-to-save-1000-right-now/ to register.